We’ve all experimented with social media at this point, but how many of us are using it thoughtfully to achieve specific results? In this session we’ll explore how we can use social media strategically to leverage our careers and support the work of future employers. We’ll review the elements of a successful strategy and together begin to create working plans based on your goals using a social media game format. Rebecca Krause-Hardie is a trainer, consultant, project manager, and partner in AudienceWorks, helping organizations use new media effectively. Rebecca has over 25 years of experience in new media, business, accounting, finance, and management having been Orchestra Manager for the Detroit Symphony, CFO of Criterion Collection and Director of New Media for the League of Orchestras. Rebecca has presented widely, coaches groups on social media and writes about performing arts and social media at her blog arts.typepad.com. This event is open to the public and all enrolled students, but registration is required. Please email us at peekskill@sunywcc.edu. “Creativity on the Road,” is the basic premise for the work of Steven P. Perkins, who uses the word lifestyle as the living spirit of a place that is absorbed – immediately, spontaneously and, transparently – during travel. Perkins consciously sheds his ego in favor of being a chameleon, observing and reflecting. His willingness to share his creative process is the key to his recent commissions that have taken him to Thailand, China, Taiwan, and most recently India for an on-going transcultural, multimedia Lifestyle Art Project. primarily in the San Francisco and New York City areas. Mr. Perkins has a Master of Fine Arts degree from the Film Division at Columbia University. His wry look at men and masculinity titled a man ought to know that . . . is in the permanent collection of artists’ books at the Museum of Modern Art in New York City. This exhibition of artwork by students from the Westchester Community College Center for the Digital Arts will include the traditional fine arts of painting and drawing as well as work from the digital arts, such as Digital Imaging, Computer Illustration, Desktop Publishing, Digital Video, Multimedia, 2-D and 3-D Animation. Animation and Video will be exhibited at a special gallery screening during the opening and will play during the exhibition. This series of images is comprised of abstractions from the natural world, representing objects ranging from the microscopic to the macrocosmic. 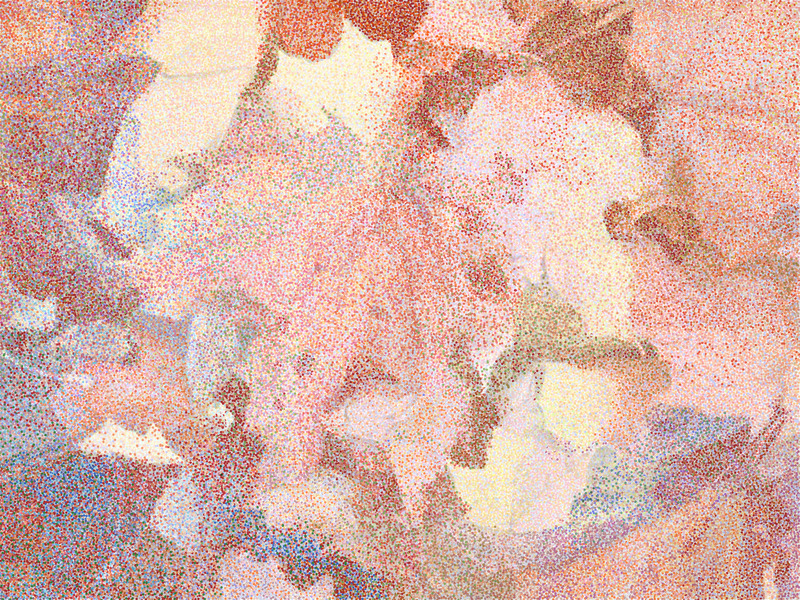 The use of a traditional pointillistic technique, in a computer paint program, allows the creation of a visually textured environment in which compositions are reduced to their essence. In an attempt to depict the unseen – the inner tension of molecules at play, the jostling of subatomic particles, the mysteries that lie at the threshold of perception and the extents of the universe – attributes which transcend the underlying rhythms of matter. Ms. Faranda’s artwork has been exhibited throughout the New York metropolitan area as well as Washington, DC and France. 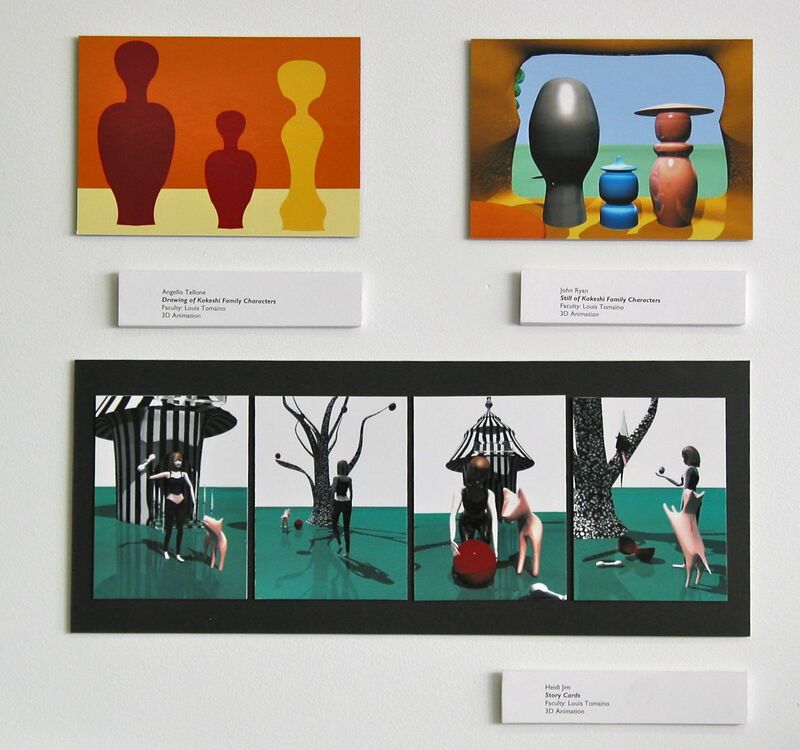 Most recently, she has exhibited her work in Transitions – Pen and Brush, 2nd Anniversary Show, MOCA (Museum of Computer Art) Brooklyn, and Close-ups – Small Works Show at the Brooklyn Artist Gym.